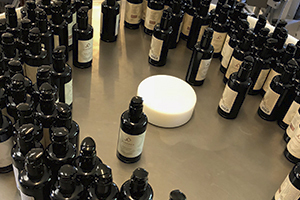 Our long anticipated Face Serum is finally in production and can see the light of day in week 4, 2019. Get excited – the Face Serum gives an amazing hydration to your skin, it is rich on vitamin C, Sour Cherry and leaves the skin silky smooth. In a former post in our blog, we have written about the choice of our factory. We will once again say how happy and lucky we are to have a local production partner, which in their production can handle our wishes about relatively small batches. That gives – among other things – you as a constumer a safety regarding fresh products. So thank you to our local production facility! The next move in our assortment will be hair serum for dry and frizzy hair – and a general treat for the hair! The hair serum is expected during this year.